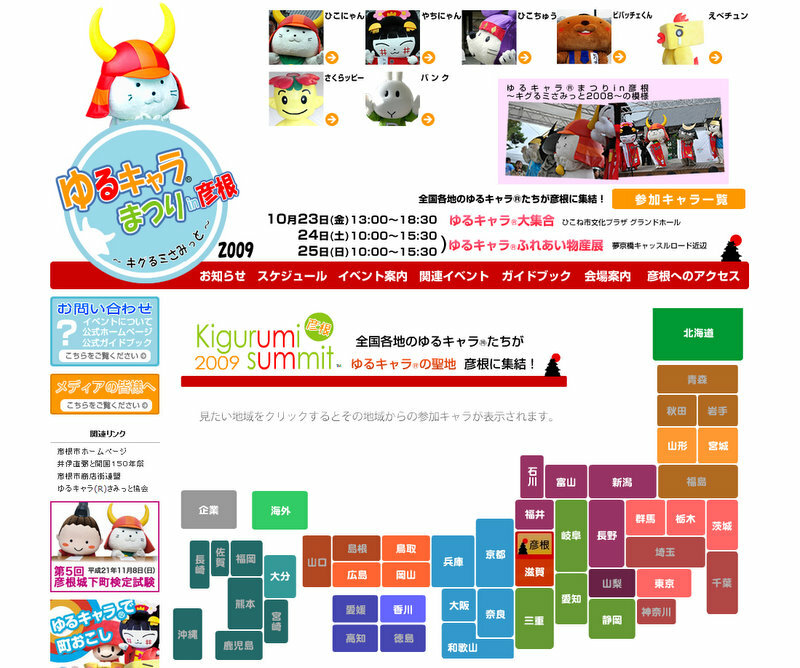 The Kigurimi 2009 Summit for Yurukyara (ゆるキャラ) Festival is on in Hikone, Shiga-ken (滋賀県彦根) from 23rd to 25th October, 2009. 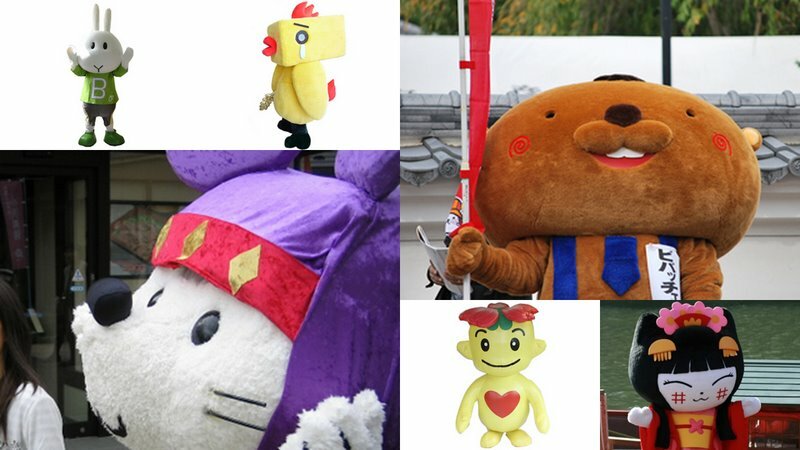 Over 100 soft toy characters from all over Japan will be at the Festival. To get to the event you can catch the Shinkansen to Maibara (米原) and then jump on board the Ohmitetusdou (近江鉄道) Kyara-den (キャラ電). Do you have character goods festivals in your part of the world? I’m not familar with any of these characters. So I guess Rilakkuma won’t be there ,will he? and we don’t have any of those kind of festivals around here that I know of. they look like a very colorful bunch. Do any of these characters have their own tv show? First weekend back in Japan,enjoy. I don’t think there ARE character goods festivals outside Japan. I mean, it’s probably the only place that uses kawaii characters to advertise anything from banks to pharmacies.